Beginner’s Guide: What is FTP access and how to upload WordPress? Do you want to know how to upload content to your WordPress server via FTP? In this article we explain how you can do this quickly and easily to use it in WordPress. FTP is the abbreviation for File Transfer Protocol and allows you to transfer files from your computer to your hosting account. Now you may think that there is a media uploader in the WordPress administration interface to upload files like pictures, video, audio, PDF and more. So why do you need an FTP now? An FTP is required to manually upload files into WordPress that sometimes do not work due to an error or access rights on the page. Normally no FTP is needed to upload files. So pictures can be uploaded easily from the WordPress admin area or even themes and plugins themselves. From time to time, however, a plugin or theme may need to be uploaded manually to avoid WordPress errors. First you have to download and install an FTP program. An FTP program is software for transferring data from a computer to a web server. 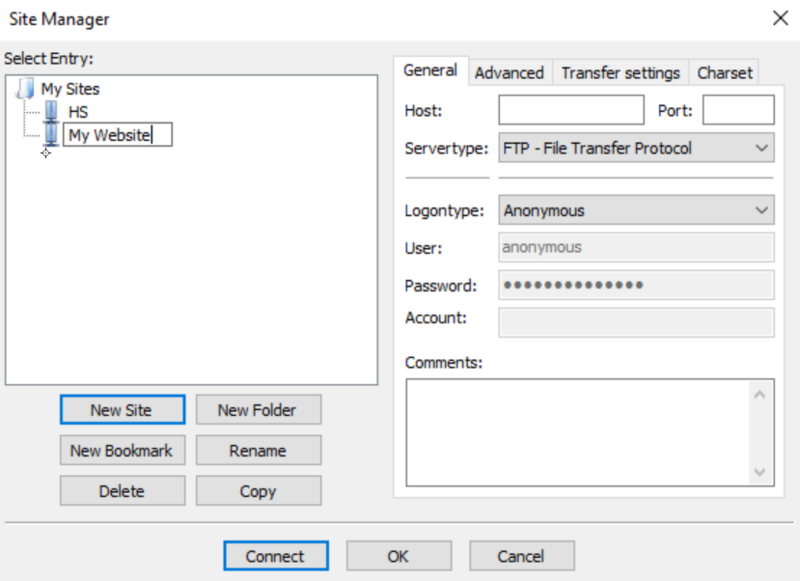 For this tutorial we use FileZilla, but you can always use any other FTP program. The basic functions are always the same regardless of the FTP program used. 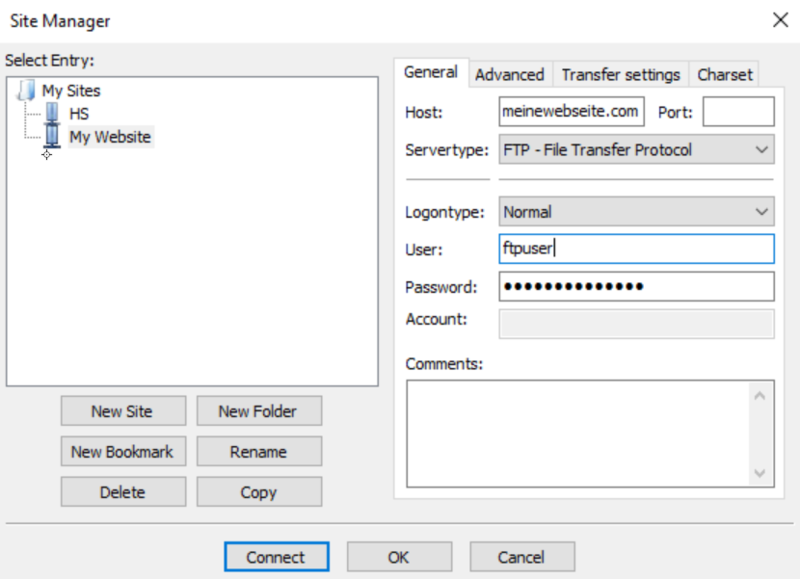 When you open the FTP program, you will be prompted to enter your FTP credentials to connect to the website. You have usually received the FTP access data by e-mail from your hosting provider. If this was not the case, it may also be that the hosting provider first needs to set up FTP access. If you can't find the login information, please contact the hosting provider's support to get the necessary information. Once the login information is available, open FileZilla and then go to File / Site Manager. A pop-up window then opens, in which the web page information is specified. Click on "New Site" at the bottom left and enter a title of the website. In the next column you will be asked to specify the host, which is usually the domain name. Change the logontype from "Anonymous" to "Normal" and then enter the FTP-User and Password. Now just click on the "Connect" button to connect. 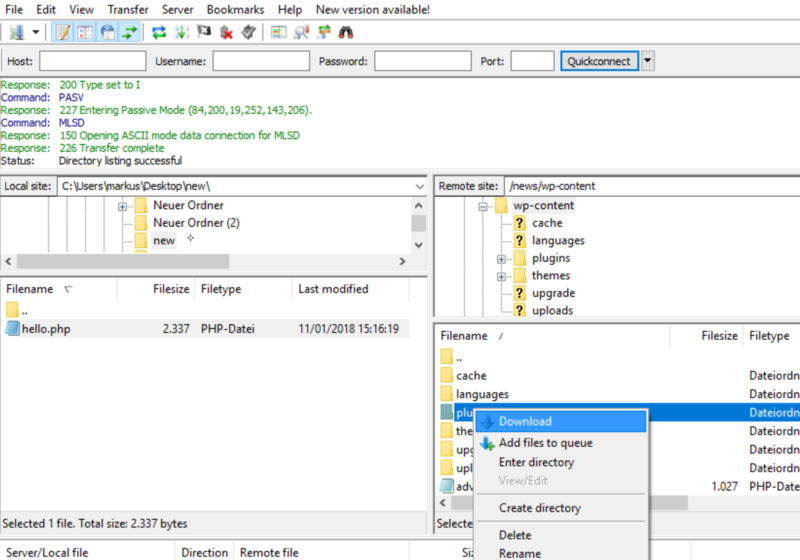 FileZilla saves the website settings for future logins and opens a new FTP connection to the website. 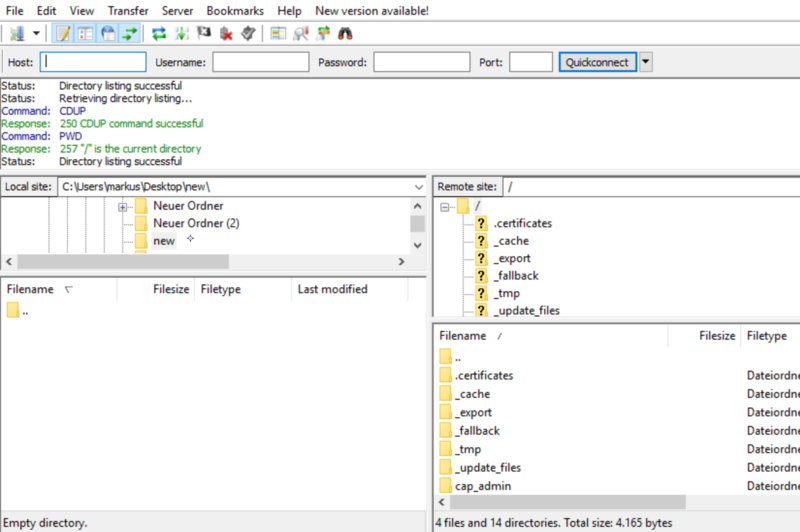 When you access the website from this computer for the first time, FileZilla may display a certificate popup. Select the checkbox next to "Always trust certificate for future sessions" and click OK to continue. FileZilla now tries to log in to the website with the entered access data. 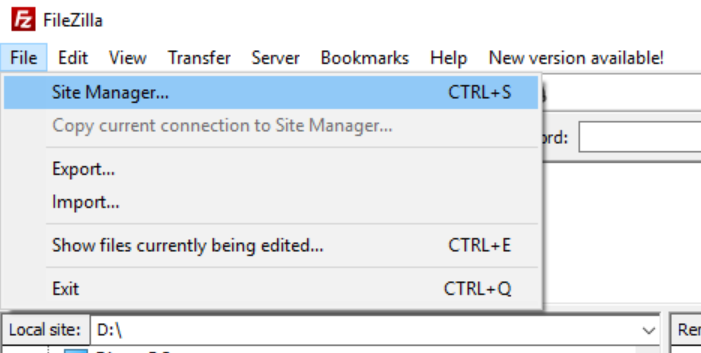 As soon as the connection is established, there are some files in the "Remote Site" column. The "Remote Site" column displays files and folders on the Web page. The "Local Site" section displays files on your computer. Under the Local Page section you can search for the files on your computer that you want to upload to the website. Next, right-click on the file and select Upload from the menu. 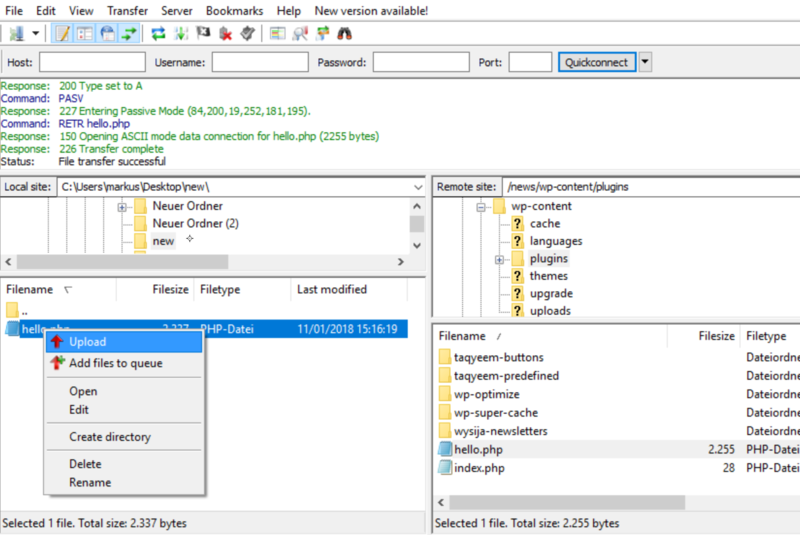 FileZilla now transfers the file from the computer to the WordPress website. But not every file can be uploaded to every location on the web server to make it work. Means for each file type there are fixed folders where they belong and to use or activate them. For example, if a plugin is to be uploaded manually to the WordPress website, the plugin must first be downloaded to the computer. The plugin file must then be unpacked. The plugin folder is then located in the zip file. 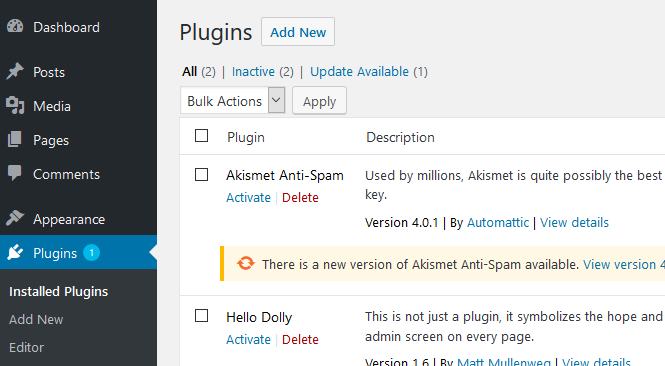 WordPress uses all plugins in the folder / wp-content / plugins /. Now first go to / wp-content / plugins / folder in the Remote Site column. Then you can upload the plugin folder from your computer to the website. Once the plugin has been uploaded, it only needs to be called and activated on the plugins page in the WordPress admin area. Premium themes are initially identical, they are then only uploaded to the folder / wp-content / themes / and activated in the WordPress admin area under Appearance / Themes. An FTP is not only used to store files on the web server. It can also be used in reverse to download and then edit files. Just right-click on the files or folders you want to download. Simply select the files or folders in the "Remote Site" column and click on Download with the right mouse button. FTP can also be used to download and back up files, folders or entire directories. Simply select all files and folders and download them to your computer. Note: This does not create a backup in the classic sense, only a backup copy of the web server files. The WordPress database cannot be backed up in this way. Online editor who writes tutorials on all topics. In close cooperation with the support team, therefore, very exciting and varied tutorial series are always created.